London’s all Australian chamber orchestra, Ruthless Jabiru, will perform at Australia House in London on 9 May 2013. ESTABLISHED in 2011, Ruthless Jabiru is comprised entirely of professional Australian musicians based in the UK. Held under the official patronage of Australian composer Peter Sculthorpe, the orchestra is committed to showcasing the best of Australia’s expatriate musical talent. Tipped to become a forerunner in the city’s chamber orchestral scene, Ruthless Jabiru has received recognition from international programmers, producers, arts industry executives, Australian diplomats, and the cultural remit of Buckingham Palace. 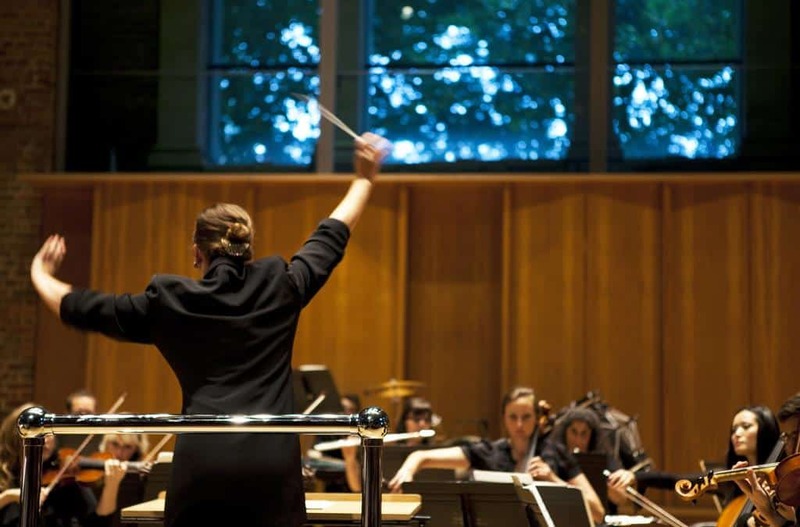 West Australian Kelly Lovelady, the company’s Artistic Director and Principal Conductor, is passionate about Ruthless Jabiru’s potential to succeed in the UK orchestral industry. “My goal is to connect and strengthen the network of professional Australian musicians living in the UK. There’s an extraordinary amount of artistry and expertise amassed, and with so much common ground between us, it’s a great foundation for an ensemble. “The Australian High Commission has been so supportive of the orchestra’s development. It will be a real honour to have the chance to present this event in partnership with the Government of Western Australia, my home state,” said Ms Lovelady. The concept for the evening, a showcase of top Australian wine and orchestra, came about after several meetings between Ms Lovelady and Agent-General, Kevin Skipworth. “There is a significant number of West Australian musicians living and working in the UK. London is a magnet for musical talent, so our musicians are operating in a very competitive market. I am always amazed at their passion and willingness to put in the hard yards to break into the industry,” said Mr Skipworth. Ruthless Jabiru will perform works for string orchestra by Australian and American composers: Brett Dean Carlo, John Adams Shaker Loops, and the world premiere of the orchestra’s first commission, by Australian composer and producer Leah Kardos. Tickets to Ruthless Jabiru at Australia House on 9 May 2013 are £30 per person, to be paid in cash on the night. To attend please RSVP with the full names of all guests to [email protected]. The reception commences at 6:30pm and the concert at 7:00pm. Further information can found at the orchestra’s website www.ruthlessjabiru.com.